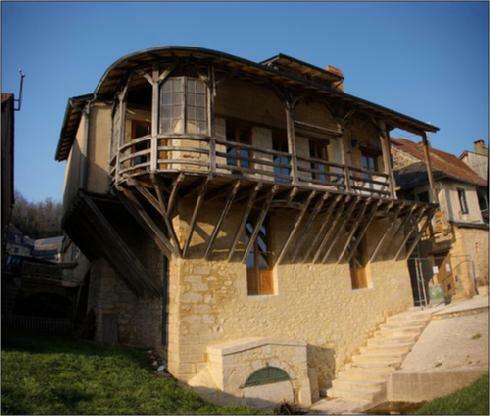 The town of Montignac is located in the Dordogne, just 8 kilometers from our family campsite. Bordered by the river Vézère, this ancient city is full of treasures of the history of France. It also has a cave known worldwide: the cave of Lascaux. The history of the city begins with the discovery of Gallo-Roman remains. Men took advantage of the presence of water, rock and forests to settle in the area. In medieval times, the city is enriched by a fortress and men erect a castle that will be destroyed in 1826. During walks through the streets of the city, it is possible to see the remains of the tower and part of its infrastructure. At this time the main street of the village is the rue de la pégerie, neighborhood gathering notables, religious and merchants. It is also in this street that lived Jeanne D’Albret, mother of Henri IV. At the end of rue de la Pégerie a bridge built around 1380 allowed to cross the Vézère, but was burned by the Protestants in 1580, repaired and destroyed during a major flooding in 1620. For more than a century the crossing of Montignac was then only by boat provided by the Marquis d’Hautefort. A new bridge was built between 1768 and 1799: this is the current “old bridge” near the town hall. 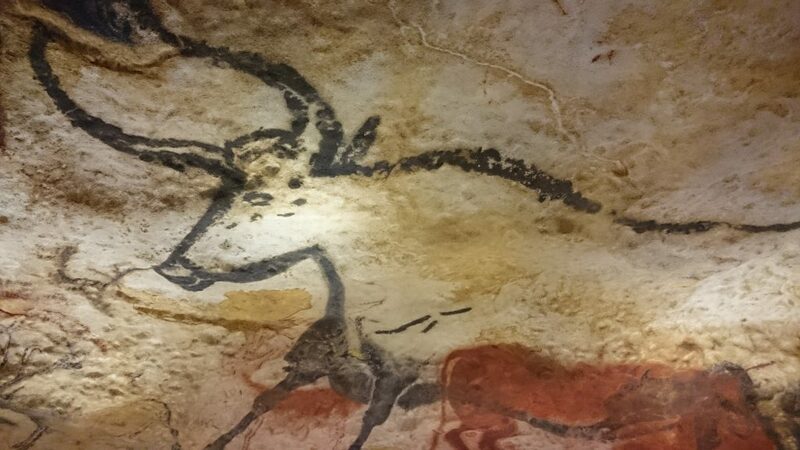 In 1940, children discovered a cave on the heights of Montignac: the very famous cave of Lascaux in Dordogne. Montignac is now the small capital of the triangle Périgueux, Brive and Sarlat. It is modern and dynamic and thrives on trade, crafts, industry and tourism. Some historical places having marked the village of Montignac in Dordogne. By walking along the old picturesque streets of the city near our family campsite, you will discover many wash houses and places full of history. Saint John Hospital, built in the 14th century to rescue only the inhabitants of the left bank. Burned in 1569 by the Protestants and rebuilt, it welcomed the inhabitants of both banks from 1759. Becoming too small, it will be attributed the convent of Poor Clares. Later transformed into a gendarmerie, he then became a tourist office and tourist office and conservatory of music. The house Duchêne built after the French Revolution, housed a boarding school for girls then became a secular school from 1881. The kindergarten will stay there until 2009.
the hotel Bouilhac, built in the seventeenth century by the Bouilhac family, judge of the city between 1719 and 1749. The building was transformed in 2017 into a luxury hotel. The house of Joseph Joubert (1754 – 1824), street of freedom, moralist philosopher of the village and justice of peace, friend of Chateaubriand and secretary of Diderot. The campsite is located a few kilometers from the town of Montignac in Dordogne. Your stay with friends or family on the campsite, you will limit your trips by its location. Many things are to discover in this village equipped with all shops. No need to move far. Contact us to check availability for a pleasant stay in a family campsite in Dordogne.